Studio Tignes Le Lavachet offers accommodations in Tignes, 1,000 feet from Paquis Ski Elevator and 1,300 feet from Chaudannes Ski Elevator. 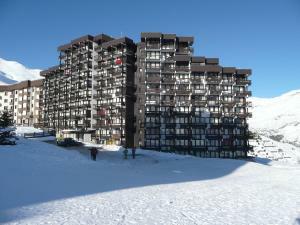 The unit is 1,950 feet from Espace Killy. 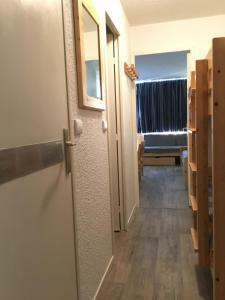 The unit is fitted with a kitchenette equipped with kitchenware. A TV is provided. You can play tennis at the property and the area is popular for skiing and golfing. 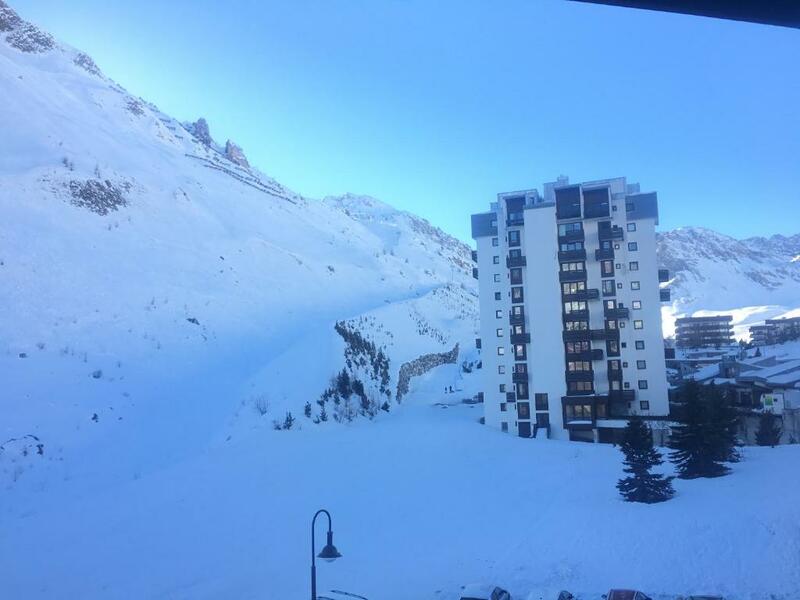 Chardonnet Ski Elevator is 2,300 feet from Studio Tignes Le Lavachet, while Tufs Ski Elevator is 1.4 mi from the property. Guests can enjoy various activities in the surroundings, including horse riding, diving and cycling. 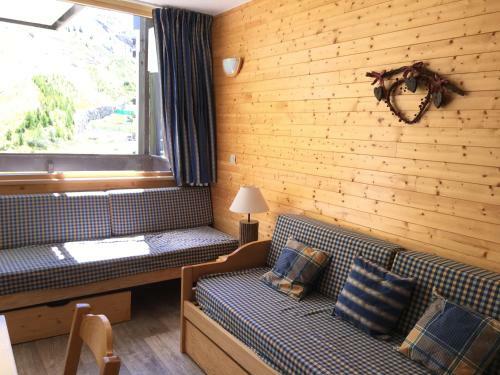 When would you like to stay at Studio Tignes Le Lavachet? 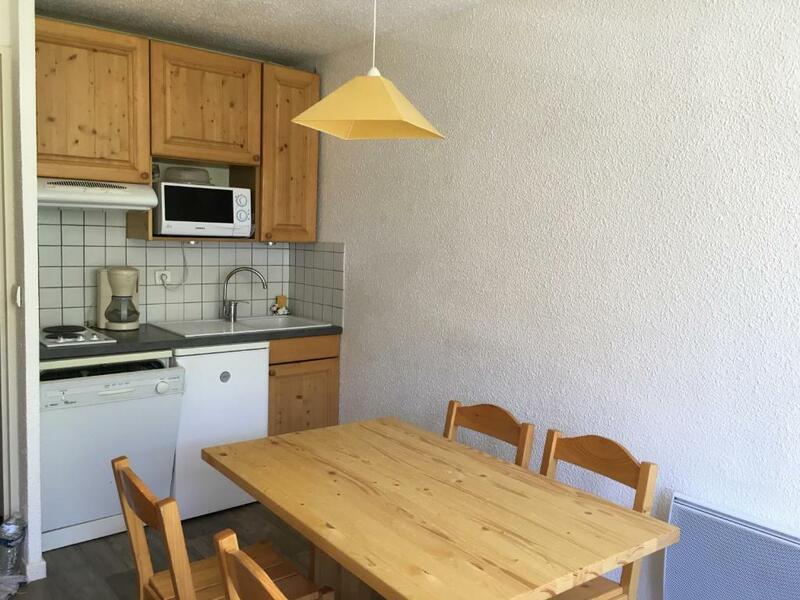 This apartment has a dining area, dishwasher and balcony. 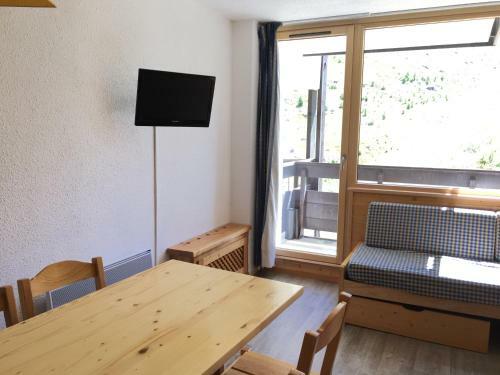 House Rules Studio Tignes Le Lavachet takes special requests – add in the next step! A EUR400 damage deposit is required 7 days before arrival (about USD448.28). This deposit will be fully refunded 7 days after check-out, as long as there isn't any damage to the property. Please inform Studio Tignes Le Lavachet of your expected arrival time in advance. You can use the Special Requests box when booking, or contact the property directly using the contact details in your confirmation. A damage deposit of EUR 400 is required. The host charges this 7 days before arrival. That's about 448.28USD. This will be collected by PayPal. You should be reimbursed within 7 days of check-out. Your deposit will be refunded in full by PayPal, subject to an inspection of the property. 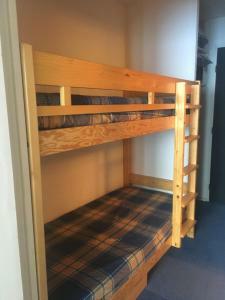 Bunks and single beds could be a bit small for some. 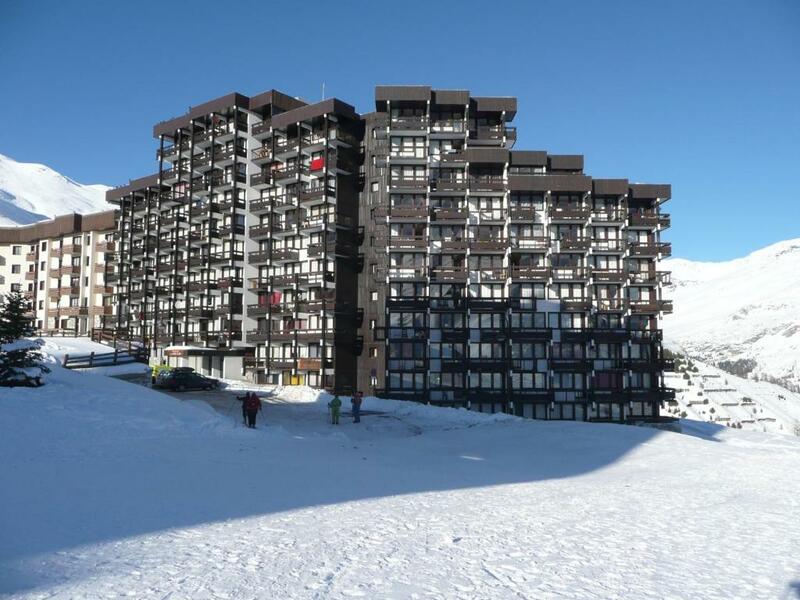 Very close to slopes and to a few shops and restaurants. Can ski back to the door. Ski locker is good. 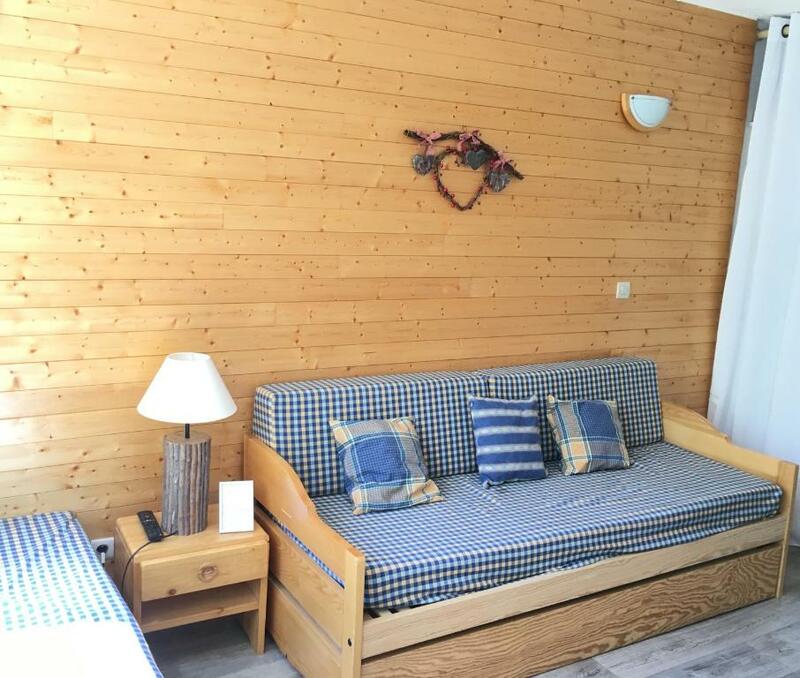 Booked for 3 adults, but only received 1 blanket. Make sure to read the fine print as a PayPal account is needed to pay a security deposit of 400 Euros (rather excessive amount in my opinion) or the booking will be cancelled by the host/owner. Great location to ski directly to the front door. Ski locker comes in very handy. Bus stop, ski rental and supermarket close by (100m). Kitchen well equipped. Easy check-in and check-out process. Condition of apartment needs some maintenance. Door handles were loose, and the cooker extractor fan was not working. Did not have a hair-dryer. the overall building in general is now looking a bit tired. The booking was for 5 people but there were only 4 chairs around the table and only 4 bowls in the cupboard. Otherwise all good! We hired bed linen and towels which were brand new. Unfortunately, new towels never dry properly plus they were black so every time we used them we were covered in black fluff. We were given duvet covers but there was only one duvet in the apartment. For the other beds there were blankets. We left on a Wednesday but the Concierge, who was supposed to check us out and return our security deposit doesn't work on a Wednesday. We subsequently recovered the security deposit by contacting the lettings agent and it was credited to our bank account two weeks later. Be aware of this if you plan to leave on a Wednesday. The Studio apartment is clean, bright and warm. There is a ski locker in the basement of the building specifically for the apartment. 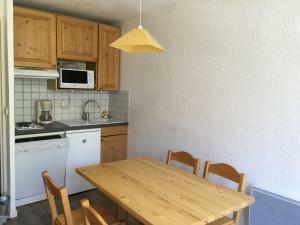 The kitchen equipment is adequate and all appliances work. There was plenty of hot water. Good location near a small supermarket and the bus stop for the free shuttle bus.